*UPDATED: The Maggies Are Back! Hamilton’s Independent Media Awards (HIMAS), also known as The Maggies are back and happening tomorrow! Maggie Hughes was a well-known Hamilton independent journalist who produced and hosted a weekly radio show on CFMU called The Other Side. She was amazing for the Hamilton activist community and is known for advocating peace, social justice, the environment, and the rights of workers, First Nations people, women and the disabled. As a journalist, Maggie frequently brought awareness to these issues and was always sure to shine a light on stories that were overlooked by the media. After a long battle with multiple sclerosis, Maggie passed away in 2012. In order to create a legacy to honour her amazing work, The Maggies were born! This year, CFMU and their amazing volunteers were nominated for a variety of awards! CFMU was nominated for the Best Independent Media Outlet award. Additionally, Brendan Stone, host of Unusual Sources was nominated for Best Journalist – Social Justice & Human Rights. Also huge congratulations to Kristin Archer and Ric Taylor for their nominations of Best Journalist – Arts & Culture. Joey Coleman, host of The Public Record was also nominated for Best Journalist in Politics category! Remember, the HIMAS are happening Thursday November 3rd at the Downtown Hamilton Library in the Hamilton Room at 7pm. Oh, and did we mention our very own Jamie Tennant (Programming Director at CFMU) is hosting the awards? For more info be sure to visit http://himas.ca! This year at The Hamilton Independent Media Awards (AKA ”The Maggies”) the Lifetime Achievement Award went to none other than lifelong activist Don McLean. The 65-year-old Stoney Creek resident has been a key proponent of Hamilton’s most prolific political and environmental issues for the last 20 years. During his acceptance, Don shared stories as an activist including his five arrests as a non-violent protester, three of which took place on our very own McMaster campus. 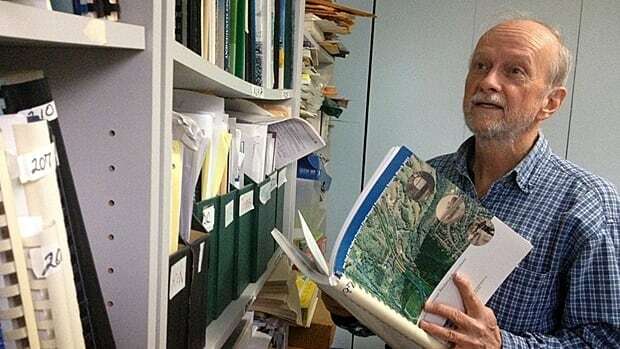 Don was one of the founding members of Environment Hamilton – an organization that has since influenced provincial legislation and has been an ambassador for many of Hamilton’s own environmental initiatives. Don is also the founder of Citizens At City Hall (CATCH), a blog that he updates weekly.The blog is updated by citizen’s that attend city hall meetings and do further research on Hamilton’s pressing topics. If you are looking for an independent news source that shines light on civic issues and is prescribed by politicians, activists, and local media then sign up for CATCH’s weekly newsletter! Tags: awards, Hamilton Independent Media Awards, hamont, HIMAS, independent, independent artist, indie, local, Maggie Hughes, Maggies, The Maggies, thisishamont. Bookmark the permalink. Previous post ← Rock Without Borders Tomorrow!